Ok so this review is going up late…..a week late just about. But it actually gave me time to see the movie not once, but twice!! And I gotta say that I really enjoyed this movie!! 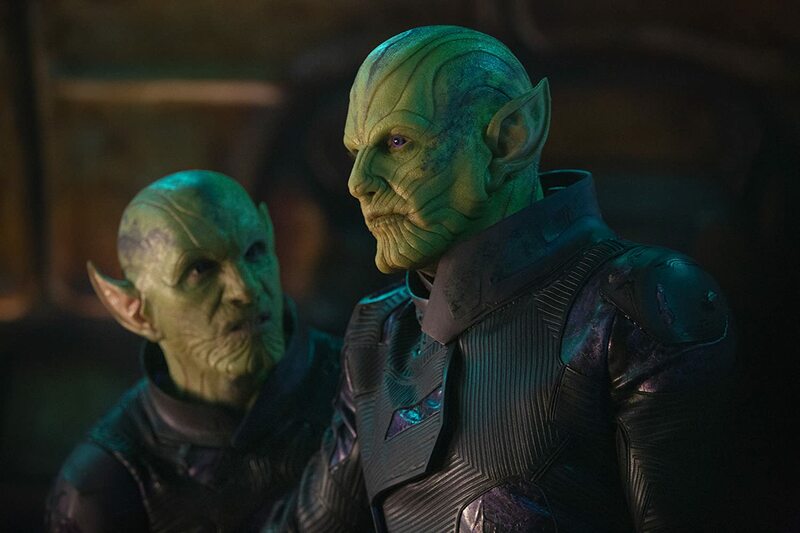 Captain Marvel was written with Buffy and Xena fans in mind with how the character of Captain Marvel was written. She really embraced the the vibe of the 90s, and was a joy to watch on screen. But let me get to the negatives first. There were some, but they were few and far between. So let’s talk Annette Bening as the Supreme Intelligence. I honestly didn’t care for her in that role. And when you find out who she really is, it didn’t blow me away nor was I enriched in her backstory as the Supreme Intelligence. But I will say, how she came across as her revealed character, it was slightly better. Can I just say how awesome it was to see Agent Coulson back in the MCU?! I only wished there was more of him and Nick Fury together on screen. But the little time he was on there, was awesome. Speaking of Fury, he and Captain Marvel really meshed well together! I enjoyed the 80s/90s buddy cop movie aspect of their relationship. I really enjoyed the fact that Fury wasn’t as grizzled as we see him in other MCU movies. He was actually more open to fresh ideas and thought that he had seen everything…..until he met Captain Marvel! The chemistry they had was hilarious when it needed to be, and tough when the moments called upon it to be. 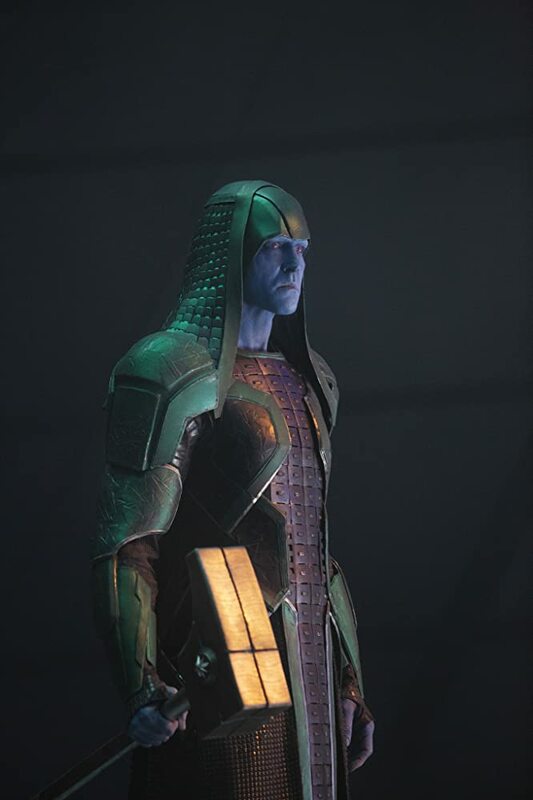 Ben Mendelsohn was AMAZING as Talos! He, going back to Buffy, reminded me of the demons on Buffy The Vampire Slayer that would not really want to take over the world or destroy Sunnydale, but one of the ones that just wanted to chill. And I love it! And yes, Goose was just awesome. Let’s just say Goose and Fury have a special bond together hehe. Overall, Captain Marvel is just a really fun movie, and really embraced the 90s era. I won’t say that this movie is better than Black Panther or the Captain America movies, but I will probably say this was a better movie than Doctor Strange (which I also enjoyed). She is their first female superhero in the MCU to get her own movie and Brie Larson delivers on every single level. A special thank you goes to Marvel Studios and the wonderful tribute just before Captain Marvel begins. 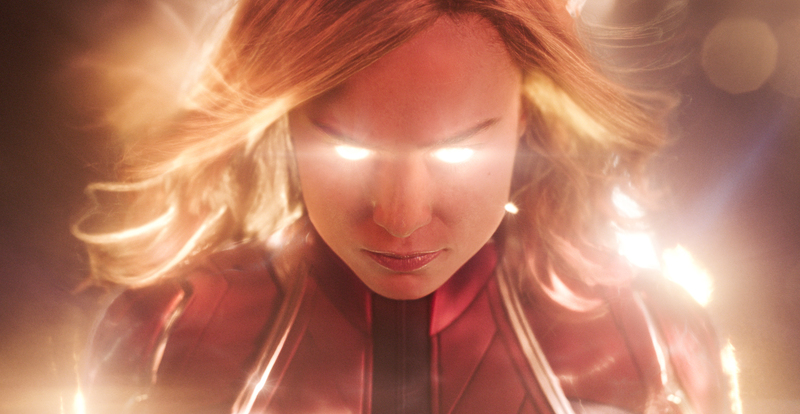 I give Captain Marvel: 4.5 Photon Blasts out of 5!